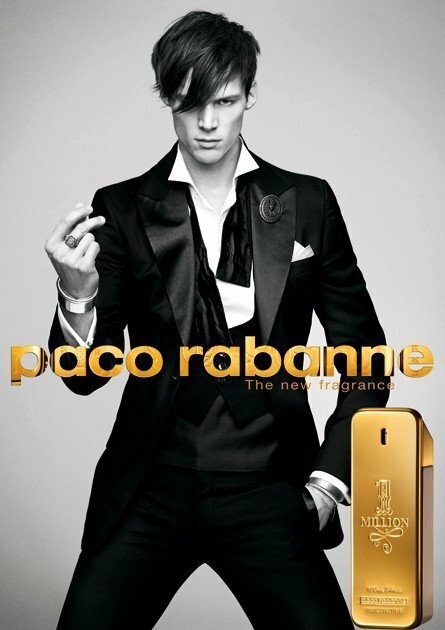 1 Million (Eau de Toilette) is a perfume by Paco Rabanne for men and was released in 2008. The scent is sweet-spicy. Projection and longevity are above-average. It is being marketed by Puig. ...when you hear the drums ..
You like him or you don't like him. Mine isn't so real. I've forgotten him. Until I got him as a rehearsal, a few weeks ago, I remembered the day we met. It was a Friday in the year 2008. On this day I had only one interesting customer appointment in front of me and then it should be a weekend. The customer came back from the Far East, we wanted to meet at the airport restaurant and he just wanted to talk to me about 'The state of affairs' and then, should the week be over. As so often, the flight was delayed. In order to make the waiting time pass me by, I went to the 'Türkisen', where a new scent in gold stood, offensively staged. Before I could orient myself at all, I immediately spoke myself in, lo and behold, there's also a male employee. What do you call them, Douglatten? I liked the name. 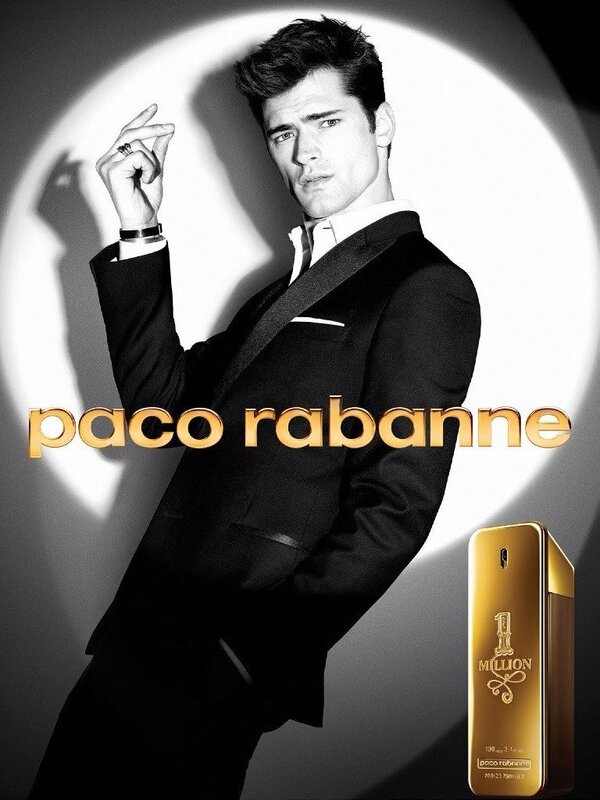 Anyway, I somehow couldn't get past him and his offer to test the new fragrance after all. Suddenly I had the stuff, not on a test strip, but on my wrist. The first thought is, "How are you gonna get rid of that?" "This will be the new trend, just wait a bit, that develops," I heard. I have saved my second wrist and have gone, with a sample, that was the price for the saved wrist, in the hand. Maybe the scent, yes another one, takes me in a pleasant direction. But he didn't. How do I get rid of this before my customer arrives! In front of the airport wing, two adolescents sat and wasted their time until the hair sprouted on their face and chest, smoking (they were clearly too young for that) and drinking a wing shower. I still had the rehearsal. That, in my opinion, was exactly the right clientele for this 'scent'. But what if Dr Jekill became Mr Hyde? I decided to keep the sample. Safe is safe. In a toilet room, I got the stuff off halfway. Luckily, I had a pocket sprayer with a different scent. I then sprayed the rest of 'One Million' over it. The customer finally landed. With an espresso, the week was then finished pleasantly. But now I still had the rehearsal! So simply 'Dispose of in the garbage' was too dangerous for me, I had to think again of the two boys. But he had to go. Also I had to think of Jumanji, with Robin Williams, dangerous things came out of curiosity, unintentionally into the world, with incalculable consequences. The disposal of the sample should be safe, so that nobody, not even by mistake, gets this scent into their hands. I finally disposed of it later, with a few expired medications, in our pharmacy. But, pharmacists also save, who knows how the disposal process continues. What do I do now with the new rehearsal? …. So, when you hear the drums ..
A million is a fragrance I ordered blind. This is due on the one hand to the degree of familiarity on this platform and on the other hand to the fact that I have never consciously perceived it before. I would also like to mention the advertising for this perfume, which cannot be overlooked, although it has been slimming for quite some time, which I do not regret. Tobacco, vanilla and a minimal pepper note. The top note is very good, I think. It reminds me of a certain component of Spicebomb Extreme that I have tested so far. Over time, the fragrance changes and slides down the inclined plane. 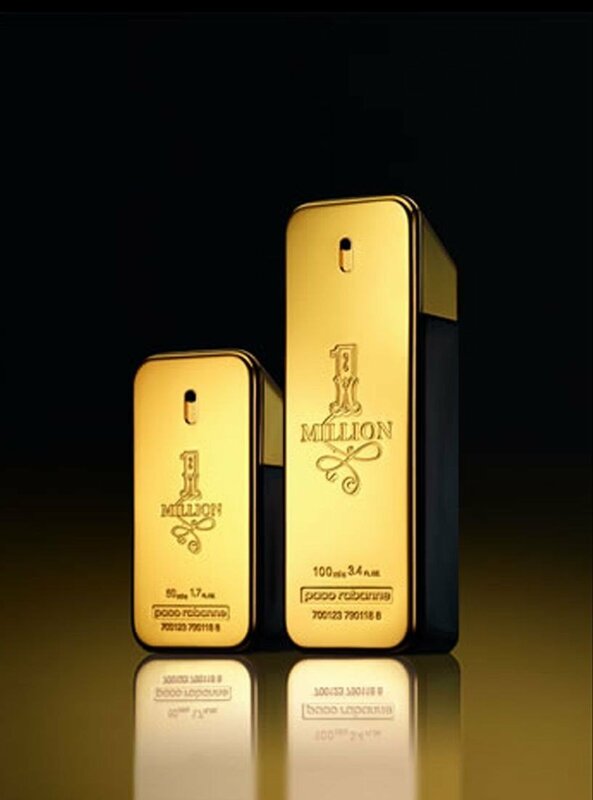 Then 1 million is a perfume of immeasurable sweetness with a malicious spice mix of undetectable fragrances. It stays that way until the end. According to numerous descriptions, 1 million is suitable for use in clubs or similar establishments. If the clientele of such institutions succeeds in getting into the focus of my perception, it is difficult for me to label these descriptions as untrue. Made up, "styled" in New German, no little hair stands away, everything in its place. The wardrobe (the outfit) meticulously selected, jacket, blouse / shirt, trouser / skirt fit perfectly. The laptop/smartphone in the latest trend, everything seems to be perfect. 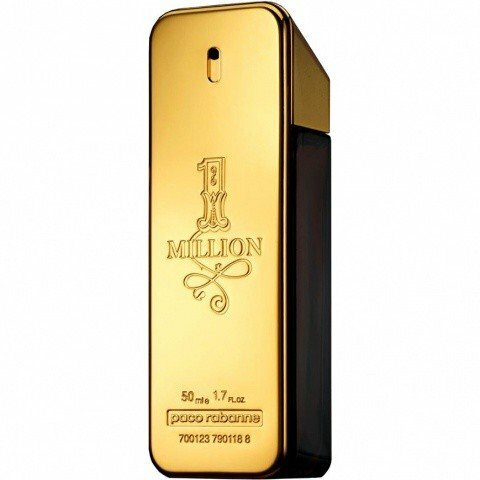 Now put on another scent....eye-catching-unobtrusive... "1Million" seems to be exactly the right one. Perfectly matched, woods, blossoms and fruits seem to form a unity. Scent successful. But where is the living, the unique, the individual? What makes an individual? Your own note? May someone be "perfectly adapted" to the business habits . Someone may like to make a baby cuddle, appear particularly well-groomed and symbolize prosperity; a fragrance for all occasions. Flowery, citric, ambry-ledric, harmonious?? Exactly!!!! All attributes that are praiseworthy?!? Do you remember the rich Eighties, the men in career and the "yuppies"? Always busy, always in a hurry, always accompanied by good looking and flashy women . Well, this is what I imagined looking at the quite "kitsch" total golden bottle of One Million, very similar to a gold bar. Anyway, a scent has to be judged not only by the packaging, but by its composition and I must confess that I liked so much its accord. I tested this scent not only on the mouillette, as I usually do for many masculine scents, but on my skin too because a friend told me that it was sweet, so I was too curious to discover how could it be the result on myself. The mandarin opening note is quite noticeable, while I didn't smell at all the peppermint I see right now at the top of the pyramid. The note I mainly smelled was the cinnamon: warm, spicy, involving, exotic and intoxicating. Very pleasant to my nose which adores oriental scents. The touch of rose at the heart is very light , giving something "gentler " to this scent .At the base, the leather accord is strong and longlasting and it surprisingly harmonises with my feminine skin . Pleasant the amberketal note, not at all medicinal and quite warm and round, although a little bit synthetic.The result is a quite strong sillage, round and not too heavy . It's a typical fall-winter or night fragrance and I don't recommend it for the office, it could result "too much" , but if you moderately spray it in the coldest days maybe you can dare it. Luxurious (although very commercial, inflated and very imitated) and flashy, this scent is only for people who like leave the trail . The new yuppies 3.0 came back , although the world and the economy aren't the same of the glorious Eighties! I do not love it and I do not hate it ! It's a good fragrance, but not outstanding as far as I am concerned! I kind of enjoy to smell it on other people; Whenever I wear it, I never apply the spray in my chest or my neck because I find it a bit cloying. It is a good choice for a night out due to the powerful combination of cinnamon, leather, amber and rose in the heart and bottom notes. Price: 7.0 - Around € 60.00 for a non tester 100ml. A bit on the expensive side, and promoting the sales of its good clones); I suppose that 1 Million sales have declined although is still considered a "safe gift buy" in any airport Duty Free Shop. This fragrance was offered to me some 6 years ago. I never took the initiative of buying a 1 Million flask or any of its flankers. Now that my flask is finished after a sparse use for 5 years, will I ever buy it again ? But I support tottaly any 1 Million lover. So if you like the scent I can only advise you to go ahead. 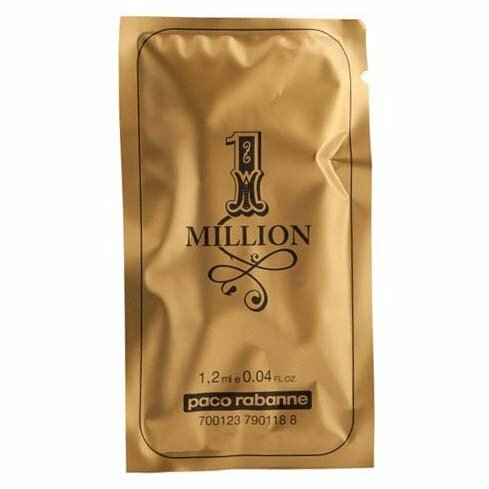 1 Million is a contemporary, synthetic, cheap and conventional “trendy leather scent”, quite plastic and light too, which is anyway overall honestly better than I expected by reading the reviews. It’s basically a sort of “all-rounder” scent which tries – and actually manages – to smell good for everything: fresh enough for the gym, safe enough for the office, trendy enough for the club, generic enough for the Post Office, and so on. Most of all, nice enough for the target it’s clearly aimed at – which is surely not the most refined gentlemen on Earth. The composition is quite simple: citrus head notes, a suederal base recreating a light, mellow suedeish note – clean and generically “modern” like in dozens of other contemporary leather scents – some canonical floral counterparts (violet, or rose), woods and patchouli to enhance the “darker” and drier side of leather, spices. As I said, all smelling quite dull, trendy and plain, with the texture and the quality of a car freshener. Still... well, I can’t really hate this. Mostly because it’s clearly, openly, and *honestly* aimed at a precise target, which *likes* and wants this kind of scents – a type of audience which basically wants a decent-smelling thing good for any situation, and possibly generic enough to look cool and à-la-page (which for some people, means “conform to and like what other people like”). With so much pretentious niche that smells like this and costs three times this, pretending to be “luxury” or “sophisticated” ... you know what? That is what I hate – the pretentiousness, the fraud. While as much crap it may be, 1 Million’s fine for me, because at least it does not look pretentious (I mean, look at that hideous bottle... it’s so kitsch I want to hug it!). I always try to consider scents both “per se” and in perspective relating them to pretenses, price, target and so on. And while per se 1 Million is undoubtedly far below good (although – crucify me – it smells nice to me) if we relate to its actual raison d’etre, this is a respectable product which is aimed at the right targets – people whom you wouldn’t suggest to wear Monsieur de Givenchy or Guerlain’s Derby to. As much as you wouldn’t suggest a bespoke Corneliani suit to people which wear Topman sweaters (and you surely don’t blame Topman for not being so quality and class as Corneliani). For me, the problem of perfumery is not Rabanne or other hundreds of crap scents which, in a way, clearly “look” crap even from the bottle – the problem is the intolerable pretentiousness of brands pretending to look better than they are, and people feeding them by paying ridiculous amount of money for this same quality of Rabanne. 1 Million is so openly, unambiguously, honestly tacky I can’t really blame it for nothing (plus, as I said – crucify me again – it smells better than expected). And I’m fine with that (not that anyone should care). Perhaps the title of masterpiece for this Cologne is suitable.The expression of every man's fantasies.An addictive fresh spicy leather fragrance.top notes excellent and Professional balance of fruit and leather and Spicy Masculine aromas. Cinnamon,Leather and Amber very well blended. very sweet fragrance that Should be use on special occasions.Sillage and projection good. It could perfectly replace flash/stun grenades in the hands of riot police! Imagine a bottle of this shattering in the middle of a bunch of tight packed people... All of them flashed/stunned and above all marked for the next 12 hours therefore sooo easy to be identified and arrested! Need more proof that this WTF brew CANNOT be used for any good? Many people think that this cologne is overrated. I am not one of those people. I believe it lives up to it's hype. Yes, a lot of men use it but that doesn't stop me from using it as well. I love it's warmth, soft sweetness and comforting manner. I really enjoy wearing it, especially on a nice, crisp autumn day. This scent really shines during the cooler seasons. I was lucky enough to find a 100 ml. bottle of this on clearance for 30 dollars just because the corner of it's box was smashed in. The bottle inside was perfect and I was thrilled to buy it at such a bargain price. I believe it's one of the best men's scents around. Better than most of the other designer fare offered these days for men. It's popular for a reason! Everyone has it. In every club you can smell it. It has already been ripped off. But it smells great! I dont care about others using it, i just find it great. I smell mostly vanilla, amber and cinnamon, all these notes very well blended. Sillage, projection and lasting power are dangerous - be careful. 1 Million falls into that sweet, masculine gourmand category with heavy accords of vanilla, amber, candied orange and cinnamon. In small doses and for a short amount of time, 1 Million is seductive and captivating, yet the more I'm subjected to the smell, the less I enjoy its cloying sweetness. I can understand the craze surrounding this rather popular scent, but for me personally, I prefer much smoother and more subdued masculines to this one. I don't think I'd like to fall asleep in the arms of my loved one while he was wearing this, for fear of being suffocated. While the top notes are pleasing to my nose, I find the heart too syrupy and the drydown far too reminiscent of a bag of stale sweets. The scent also borders on unisex, having a certain spicy softness that would wear well on a woman. I'm afraid I'm one of those women that like rough and herbaceous masculines on her men. 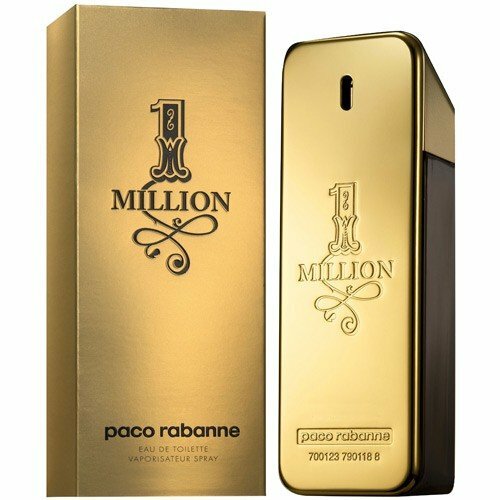 My current boyfriend likes fragrances on the sweeter side, a little off the beaten track to what I'm usually used to, but even he doesn't really like 1 Million. On a more positive note, 1 Million lasts incredibly well and projects itself with monster sillage. In that retrospect, please apply sparingly and with caution as this can be rather potent. Girls may love the scent, but please don't knock them out.